IBM and MediaMath are powering the way brands interact with consumers by helping marketers execute optimized campaigns across paid and owned channels. 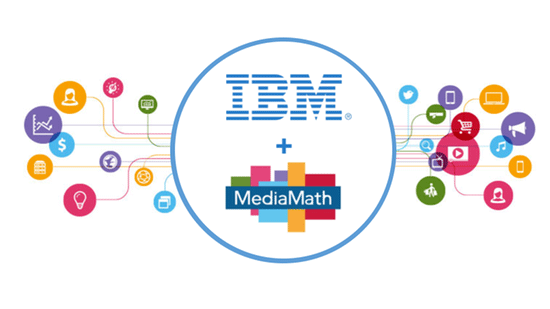 MediaMath, creator of the TerminalOne Marketing Operating System™, recently joined IBM’s Universal Behavior Exchange (UBX), enabling marketers to connect their ad tech and marketing technology to drive more consistent consumer experiences and increase return on investment. Via IBM UBX, MediaMath can bi-directionally share data with IBM solutions such as IBM Marketing Cloud, IBM Engage Mobile, IBM Digital Analytics,and more. This sharing allows communication between technologies, giving marketers the power to activate insights and execute optimized campaigns across both paid and owned channels. Leverage first-party data and behavioral data from IBM Marketing Cloud for retargeting across additional channels such as display, social, mobile, and video. Utilize insights and execute optimized campaigns across both paid and owned channels. Orchestrate brand experiences that are seamless, relevant, and personalized to drive contextual conversations with customers and close the loop across all media strategies.